Michael A. Poyser, 92, Cromwell, passed away on March 18, 2018, at Millers Merry Manor in Syracuse. He was born Nov. 24, 1925, in Cromwell, to George and Ethel (Hursey) Poyser. He married Margaret Kolberg on Aug. 12, 1950, in Syracuse. He is survived by his wife Margaret Poyser of Cromwell; one son, Michael Poyser of Syracuse; one daughter, Darlene (James) Brazel of Cromwell; three grandchildren, one great grandchild, and two great-great grandchildren; a brother, Jess Poyser of Ohio; sister- in- law, Lois Poyser of Cromwell. He was preceded in death by two brothers, Marvin Poyser and Donny Poyser; and one sister, Harriet Poyser. Mr. Poyser was an electrician at Monsanto and also Judy Electric for 25 years. He also served in the U.S. Navy during WWII and was a member of the Masonic lodge. He served on the Sparta township fire department for 20 years. He also enjoyed Grandfather clocks. 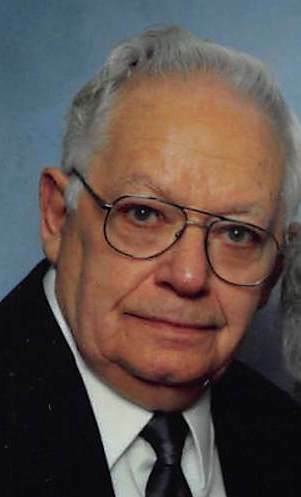 Visitation will be held from 6-8 p.m., Wednesday, March 21, at Yeager Funeral Home. The funeral service will be at 11 a.m. Thursday March 22, with one hour of visitation prior to the service. Larry Baker will be officiating. Burial will take place at Sparta Cemetery. Yeager Funeral Home in Ligonier is assisting the family with arrangements.